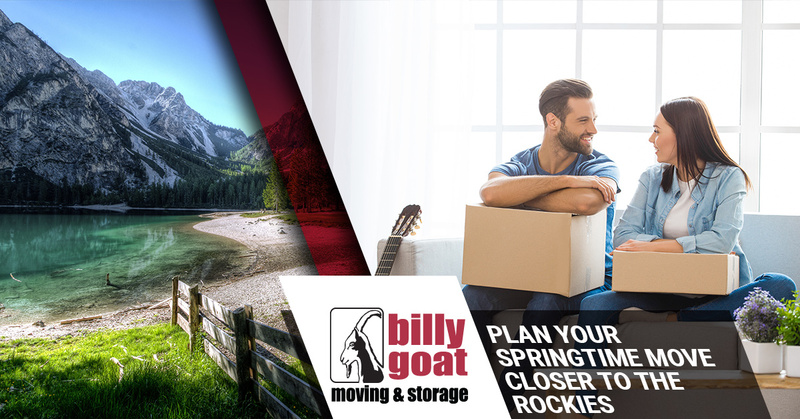 At Billy Goat, we love helping people relocate closer to the Rockies, and if you’re looking for moving companies in Colorado, we’re here to help. We have the knowledge and experience necessary to get your belongings from your old house to your new one, and before you know it, you’ll be settling into your new place, with the Rocky Mountains visible out the window. If you’re planning a springtime move, here are some things to keep in mind! Since you already live in Colorado, you likely already know that the state is a very popular place. People come from all over to ski during the winter and early spring months, and cyclists and hikers frequent the roads and trails during the summer and early fall. Moving in April and May can be the best times to settle in, while there is a bit of a lull in the tourist traffic. If you’re moving to Boulder or Fort Collins, or perhaps somewhere in the mountains like Estes Park or Idaho Springs, spring can be the best time relocate. Even though the sun may be shining on the Front Range and Eastern Plains of the state, the same may not be true for the mountain passes and roads. Snow can fall very late in the year, and if you’re moving to the Western Slope, your preferred route may be a bit cold and snowy. 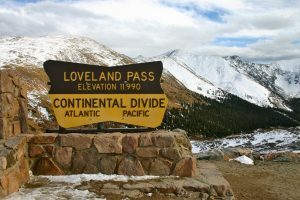 Having to go up and over the Continental Divide means that it’s important to check that your vehicle is ready and that you’re prepared for inclement weather. We’ll make sure that our truck is ready to go so that your belongings arrive safe and sound. If you do live in a warmer spot of the state, then use the weather to your advantage. You’ve likely already sold your home and found a new one near the Rockies, but if not, then spring can be a great time to find a potential buyer. People are often in the buying mood during this time of year, since they want to be moved in and settled before summer arrives. You may also want to have a garage or yard sale before you move, and a warm weekend in March or April can bring in a great crowd. Advertise your sale a few weeks before the date, and hope that a spring snowstorm steers clear of your town or city. While our team will handle all of the heavy lifting, it’s a good idea to make sure you’re physically ready to move. If you’ve been fairly inactive during the winter months, take some time to get outside to walk or run, or hit the gym a few times before moving day arrives. Also, if you’re going to be moving to a higher elevation, it’s smart to work on your lung capacity! When you want a moving company that can take care of your things and provide friendly and professional service, contact Billy Goat today. Even though we’re located in Fort Collins, we’re proud to serve all of Colorado!